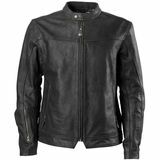 Dstar - Canda Perfect jacket, I'll buy another "bought this jacket as my first leather jacket and absolutely love it. 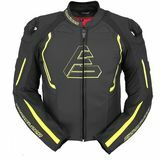 I ride with my buddies that has alpinestars and dainese and they all couldnt believe the quality and make of this jacket compared to theirs. This is by far one of the best jackets you can get for the price. By far it is the best bang for buck,"
Louie - Puerto rico Verry cool,nice to the touch. "Can't wait to show off to my riding buddies R."